It turns out that Google should have just let the robot keep driving. In an ironic turn of events, one of Google’s self-driven automatic cars has gotten involved in what appears to be the project’s first accident. The irony? It was the human driving the car manually at the time that caused the crash. 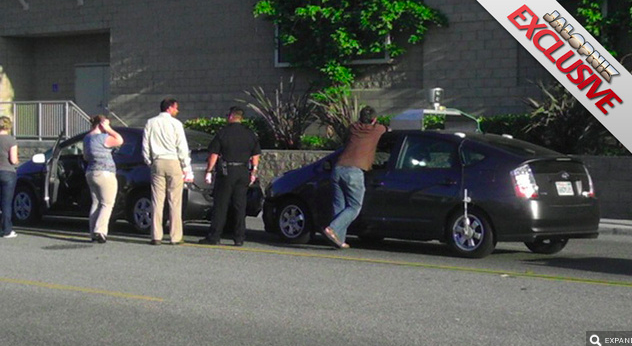 The crash was spotted by a Jalopnik tipster and sent into the site after they took a shot of the car post-fender-bender near Google’s Mountain View headquarters earlier this week. The car, which is a Prius, apparently crunched into another Prius. There’s some sort of Prius joke there I think. So this one can’t be blamed on robot rage and instead on the fallible meat sack driving the car at the time. Google’s self-driving car program is under active testing in California, where no laws ban robot drivers, and Nevada, where Google got the state to issue special licenses for automated cars. The Google rep said that the automatic driving program had racked up 160,000 miles with no incedent prior to a human getting its hands on the wheel. Looks like our future robot overlords will be conscientious drivers at the very least.